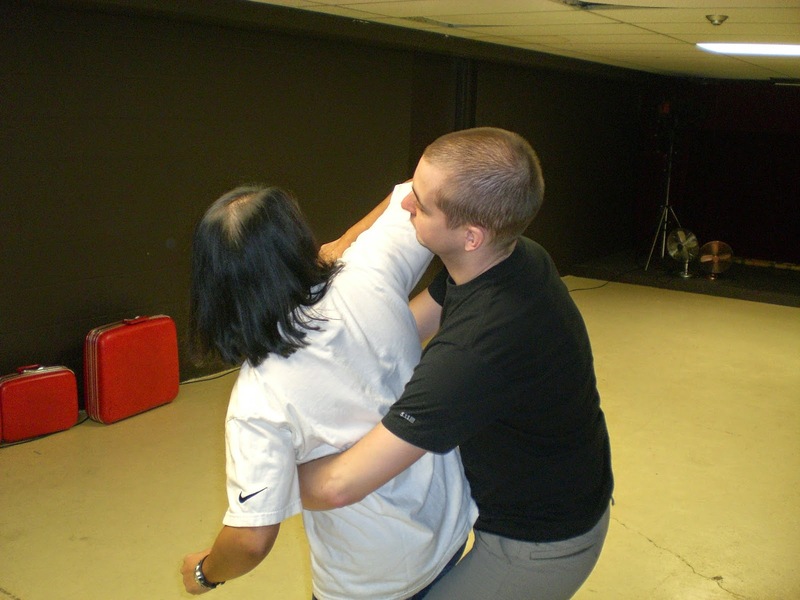 Toronto Krav Maga Academy (TKMA): Striking Vulnerable Points to Overcome an Attacker. Striking Vulnerable Points to Overcome an Attacker. 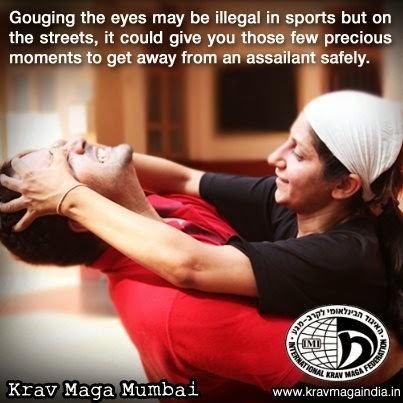 Krav Maga self defense involves striking (if necessary) in the most efficient and effective way possible. This involves striking with the closest available tool - e.g. side elbow if threat is very close to your left or right). It is also important to strike a vulnerable part of the body to disable or distract an attacker - especially one larger and stronger than you. Punching a determined attacker in the chest, for example, might only slow him down. Also, he might have so much rage and adrenaline that he barely notices and continues his assault. So, what are these vulnerable points? Here is a short list: Eyes, Nose, Jaw, Chin, Throat, Groin, Thigh, Knees, Shin, Top of foot... Yes, there are more! Here are some examples of defenses involving striking vulnerable points. Eye gouge defending vs bear hug.